As most of you must be aware of the fact that I own many eyeshadow pigments, of various brands & i love using them for various purposes. 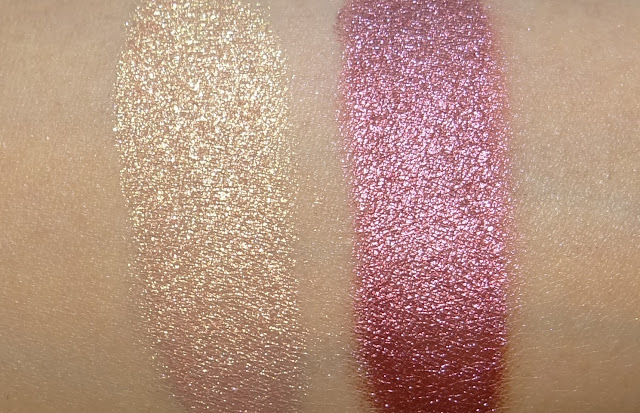 I'll be reviewing two shades today, take a look! For a color-true experience, use the best. These highly pigmented loose mineral eye shadows are not only recognized by the industry's best make-up artists, but also a customer favorite. Versatile enough to use all over face for contouring and special effects, but specially formulated for eyes. Create beautiful looks with this make-up artist must-have. From delicate day looks, guide and mold your creativity to create bold, energetic creations perfect for night life, stage, or screen. May be used wet or dry. 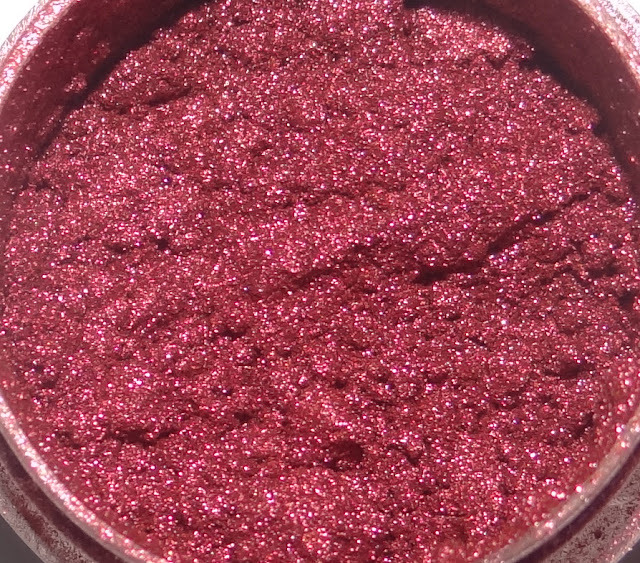 Facefront pigments are available in around 22 gorgeous shades! I'm reviewing- Acrylic Apple torte- Brilliant ruby/garnet pink metallic. 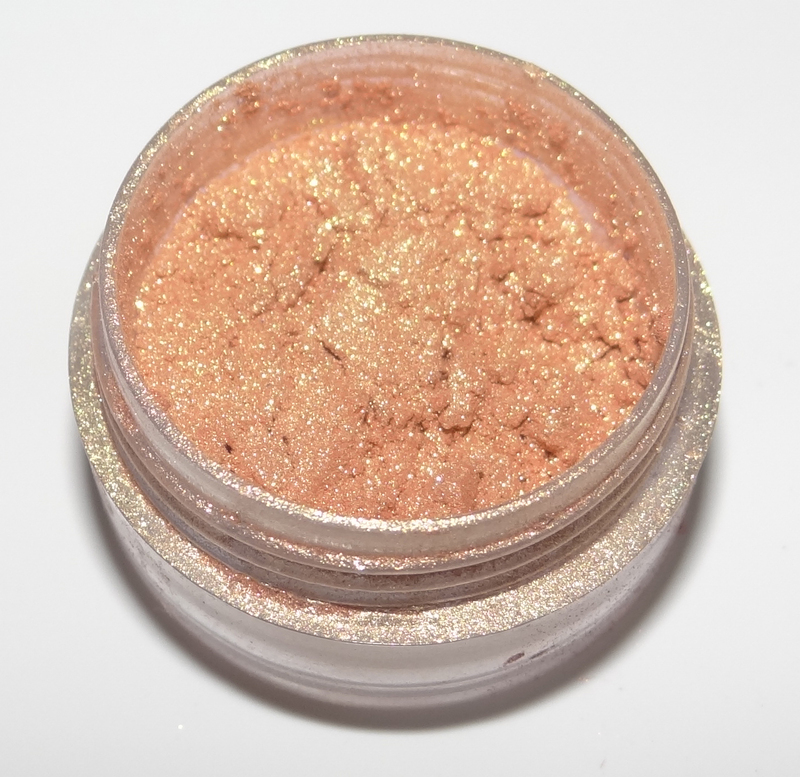 Hypnosis- A beautiful soft golden shade, gives a very elegant look to the eyes! 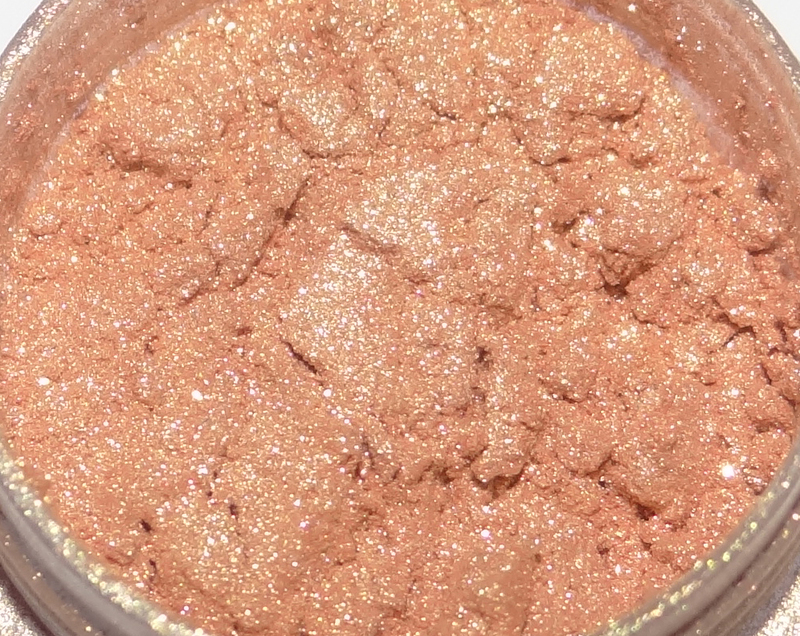 I've used many pigments & after my experience I can say that these are of really good quality & if you are in search of pigments, you can surely try some from facefront! You get the usual packaging of these pigments as one will find of other brand's pigments. Small jar with a lid. Both have a soft, silky texture & they glide on so smoothly on the lids! You get a gorgeous effect after applying them! 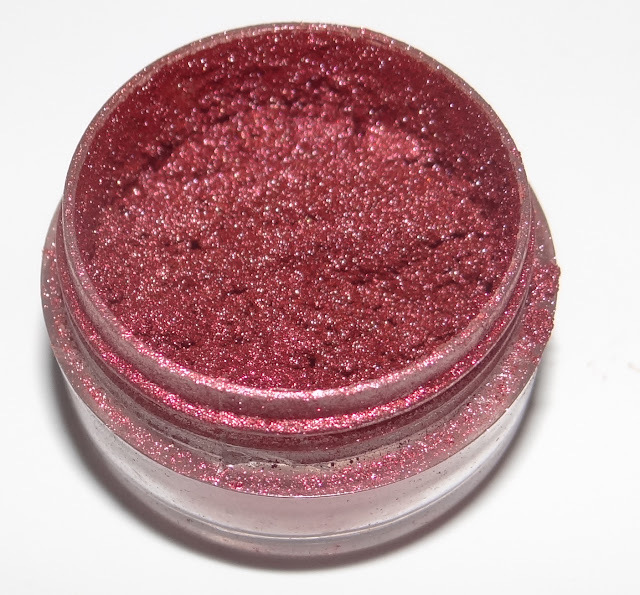 Highly pigmented, so a very small amount is required to get the appropriate color. The ruby red one is even more pigmented that the golden shade which is more of a soft color unlike the dark, dazzling Apple Torte! They have a satisfactory lasting power of about 4-5 hrs & with base you can strengthen their lasting power even more. Even if they fade, it looks pretty good as there aren't any patches to be seen. 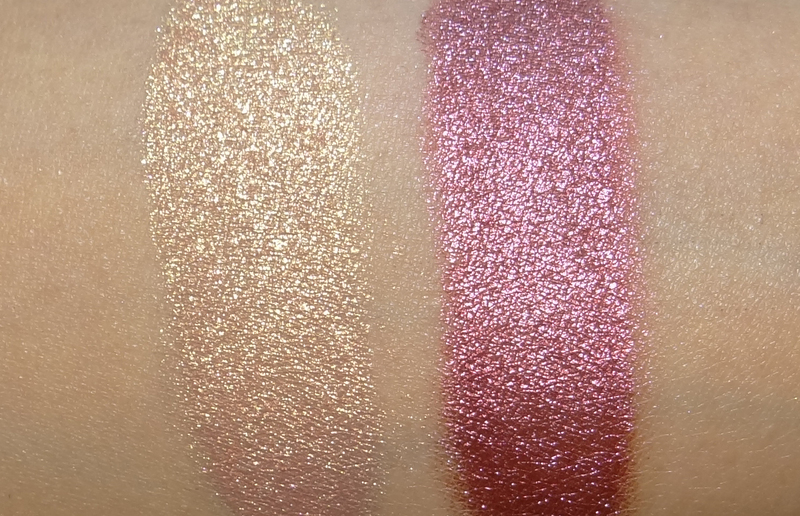 I really love both these pigments & would love to try more shades from their collection!!! If you want to add on some pigments in your collection then these pigments should surely be one of those.